There are many kinds of willow in Denali National Park. This one was in a show planter, with an identification tag. Cite as: Campbell, Sandy. 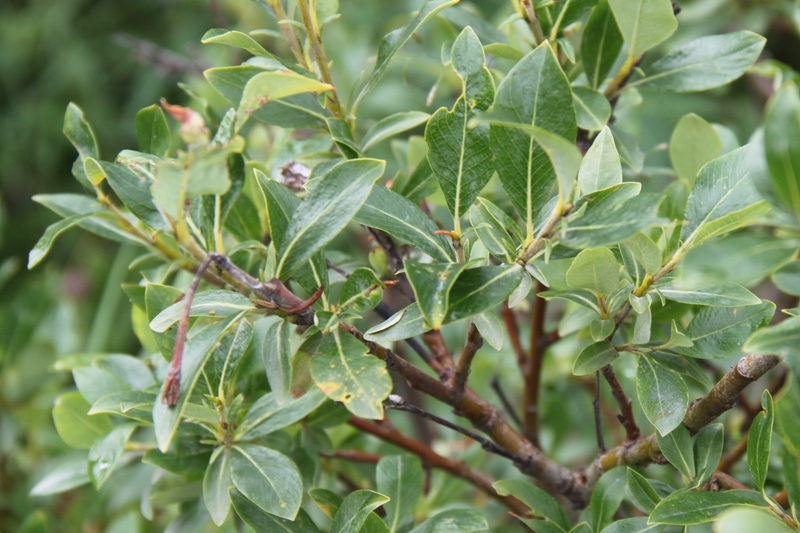 "Blueberry willow in Denali National Park, Alaska ". Photograph. 2016. University of Alberta. ERA: Education and Research Archive.